Curology ~ Personalized Prescription Anti-Aging Cream! You are here: Home › Anti-Aging Skin Care › Curology ~ Personalized Prescription Anti-Aging Cream! 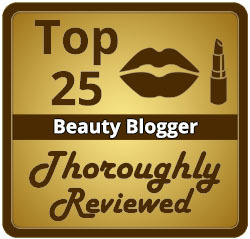 ← Ulta 21 Days of Beauty ~ My Top Picks! I’ve been using Curology for a month and I love the service! If you wanted to try prescription tretinoin but haven’t been able to get a prescription or insurance won’t cover the cost, this service might be for you! Try Curology FREE! First month free with trial offer, just pay $4.95 shipping. 29 Responses to "Curology ~ Personalized Prescription Anti-Aging Cream!" What about the pH? Angie has a great video on vitamin C and other antioxidants, and states that the pH needs to be under 3.5. If Curology products have a pH of over 4.0, will that render the vitamin C ineffective? Curology uses one of the stabilized vitamin c esters in their mix so pH isn’t an issue. IMHO the esters aren’t the best version of vitamin c so I would still use an L-Ascorbic Acid C serum even if my Curology product had vitamin c in it. The esters might be effective… there’s just not enough evidence proving them yet. Another concern is that tretinoin degrades with exposure to light. That’s why prescription tretinoin is sold in metal tubes, regardless of brand. Curology is in a transparent bottle, so I’m unsure that the integrity of the tretinoin is preserved. I also agree that having tretinoin in a mixture with other ingredients means that you are not getting the same ‘dose’ of tretinoin as you would if you applied straight prescription tretinoin. I like the Curology concept, and I think clindamycin and azelaic acid (to counter inflammation) are smart to use with tretinoin, but perhaps not all in the same mixture. Remember, your mixture is not just three pure actives. Curology does use a base, as described on their website. So, it’s akin to mixing a drop of your prescription tretinoin from a metal tube with two other ingredients and then applying it to your face. By volume, you’re getting less tretinoin in a mixture than you would if you applied just your prescription tretinoin, unless you apply a large amount of the mixture. No, it’s not anything remotely like taking an already mixed tretinoin cream and mixing that in with Curology’s base and 2 other ingredients. They don’t use pre-mixed cream, they buy tretinoin the ingredient and add it to their mixtures at the percentage on the label of their bottles. Maybe you’ll understand if I say it this way: My mixture is 0.09% tretinoin, 1% Clindamycin, .5% Azeliac acid as stated on the label, the other 98.41% is their base. If someone else’s Curology mix is 1.4% tretinoin, 5% Niacinamide, and 10% Vitamin C then the base is 83.6% of the mixture. Quick question – I just stumbled onto your site and I think its fantastic; but there is A LOT of information on here. Do you have a list of your favorite products that you consider essential? Thanks Heather! I don’t have a post with my faves but that’s a great idea for a post, or a “start here” tab for new people! Angie, are you still using your Timeless serums in addition to the Curology? I just discovered your blog – love it! So I started with the serums and just this week activated the Curology trial, so I haven’t received it yet. Thank you. Hi Angie, I ordered Curology for the first time. They are so great I am expecting my order. Thank you so much for your videos and all the information. Hey I am not angie but I’d say try avene and see how your skin reacts to retinols. Get it used to them. Then move into cureology in 2-3 months when you go thru your avene. Don’t freak out thinking you don’t have “the best of best” bc remember, skincare is a gradual process. I think it’s Good you tried avene first. Why? Bc it’s one singular ingredient. Next, you can use cureology for the powerhouse that it is and get a tren+niacinamide mix. I have Been using retin a 1% for about 5-6 years now, Retin a for 15. I’m 29. When I introduced niacinamide to my routine (it repairs moisture barrier and retin a down time so so so so much!!) I wish I would’ve found this from the start. I didn’t know how much vitamin b our face is lacking but think about when you take a vitamin b.. you always feel better. Your skin looks better, your hair grows. So putting it topically is brilliant to me, as a mix with retin a.
Retin a is not something to hit the ground running. If you saw in hotnflashys vid she put differin on her next a few days ina row and now her neck is too sensitive for any treatments at all!! So slow and steady wins the race. Also, emollients such as cera ve or an oil that agrees with your skin are A+. 6. Light acid masks, think mandelic, pha, etc. throughout the week with a major acid treatment every 1-2 weeks. 7. Anti inflammatory- Melazepam (also shown to be the most effective anti aging regimen mixed with glycolic acid and retin a rotations). 8. Niacinamide (yes, it’s very important). Now my product reccs are another thing. Coming from a bioscience background i am extremely picky, and I’ve done my researching and narrowing down on products. I like hotandflashy because sometimes i come across her when hitting these major points. She has a knowledgeable opinion and she’s got experience. I hope that helps ease your anxiety. I know it suxks when you feel like you just bought the best product, then person reccs some new thing. But ask yourself, are you in their position? In terms of experience, skin needs, skin type, etc. it’s all trial and error. As long as were trying to improve our skin we will learn what works for us. I love this fantastic review, I am the type of person that I like more and detail information and more when it comes to skin. BTW, Angie thanks to you I got into the curology cult hehehehe, and timeless serums. Thanks Angie. I can definitely back you up the Curology is a great product/service. I’ve been using them fro adult acne for over a year now and my skin is so much better when nothing worked before. I get the large bottle and have it shipped every 3 months, which really reduces the cost. I just started using a separate .25 Tretinoin cream from my derm to try that out. But I think when I’m done with that I’ll talk to Curology and see if they can reformulate my prescription to add Tretinoin. It will make my routine a bit easier and save me some money… win/win. Great informative video on Curology! Just got my custom skincare blend from them via email! Can’t wait to receive and try the product. My Trentoine is 0.012%, Vit C 5% & Niacinamide 4%. 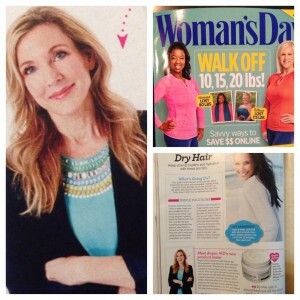 They asked me how I heard about their products and of course I told them….my favorite beauty blogger Angie! Just ordered my bottle of Curology! I am so excited to try this product! I am also going to have my daughter try it as well. Thank you for this! I really think you will like it. I highly recommend them, too. For some reason I am not able access when I press “Start Trial”, maybe they are swamped since your review? I was so excited to try the Curology only to find that it’s not available in my State, that’s so odd! Thank you! I know that you get lots of questions about what specific makeup products and colors you are wearing in your videos? I think it would probably be too much trouble for you to list the makeup that you are wearing. But it’s interesting to see something that you want to try. Thanks again for all that you do! Just been watching your video on curtly. Got very excited so I got in touch Gutted they do not deliver to the UK.